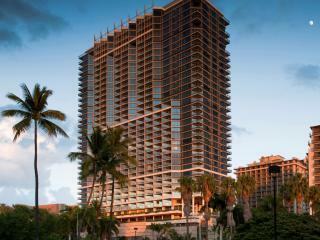 Trump International Hotel Waikiki offers an amazing location for your next Hawaii holiday. 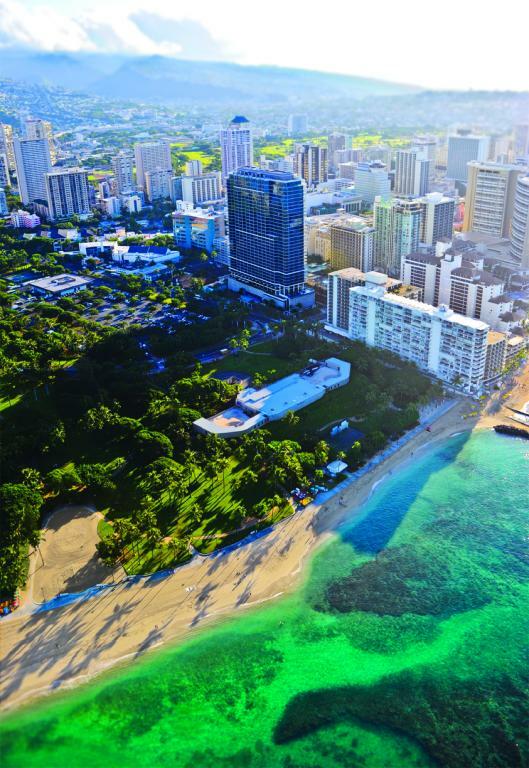 This luxury five star Honolulu accommodation is set along the development of the Waikiki which is home to an array of stylish boutique shops, world-class dining options, entertainment and much more. 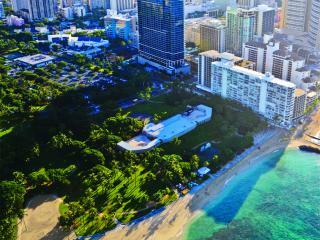 The white sand of the famous Waikiki Beach is just moments away from this exclusive Waikiki hotel. 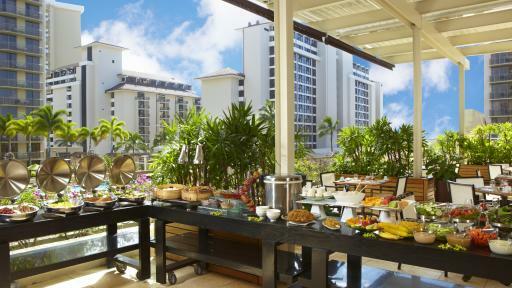 This luxury Waikiki accommodation is set over a commanding 38 levels and features 462 luxury guest rooms and suites that are ideal for families, small groups or couples. 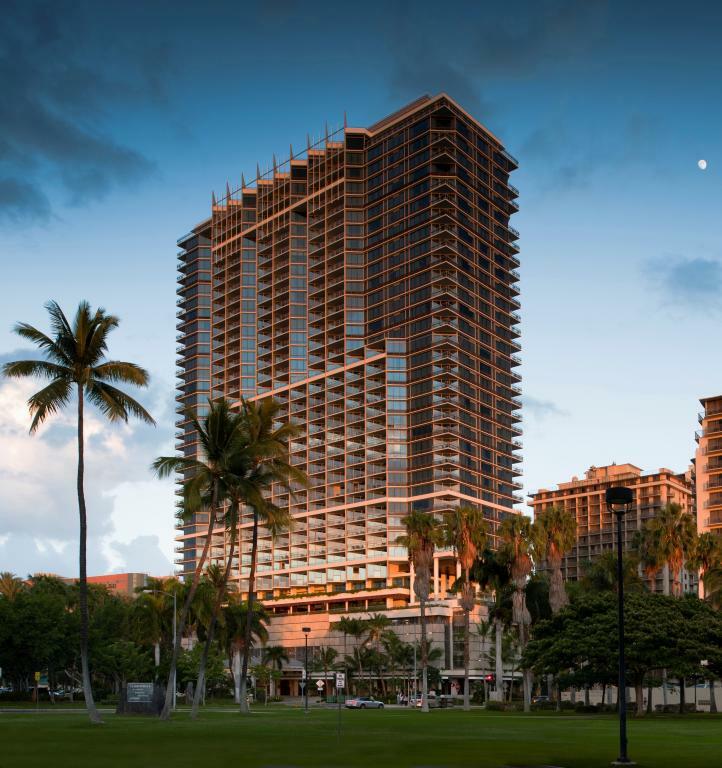 From the moment you walk into the open air two level lobby that looks out to the Pacific Ocean at Trump International Hotel Waikiki you will feel as though you have made the right choice for your Waikiki Beach holiday. 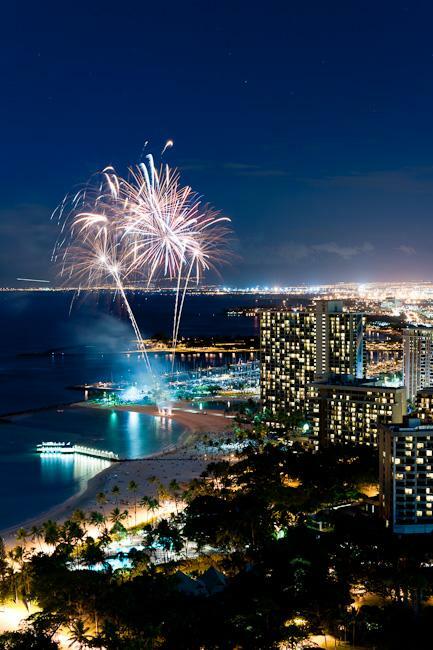 The spacious rooms have views of the surrounding cityscape, stunning Pacific Ocean or the Ko'olau Mountains plus they boast modern amenities including wireless Internet access, DVD Players and iPod docking stations. The guest rooms are ideal for couples or shorter stays with most offering basic kitchenette facilities while the suites are perfect for larger groups or extended stays with access to full kitchen and laundry facilities. 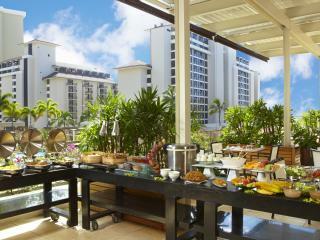 There are plenty of onsite facilities for guests to make use of at Trump International Hotel Waikiki including business services, 24 hour reception, room service and fitness centre, a selection of restaurants with kids menus & bars, nanny services, a luxurious & rejuvenating day spa, infinity swimming pool and much more. 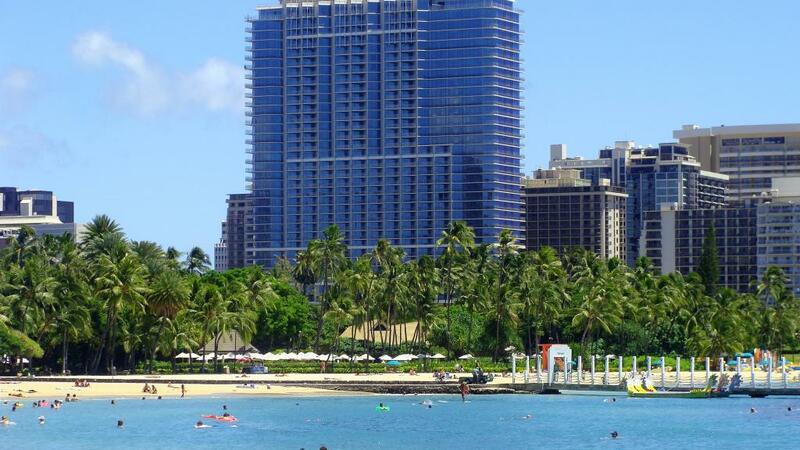 While staying at this Hawaii accommodation guests can easily explore the surrounding Waikiki attractions, laze on the amazing Waikiki Beach, head out to pick up a bargain from a number of shopping complexes which can be accessed with ease or just relax in their modern room and enjoy the view. 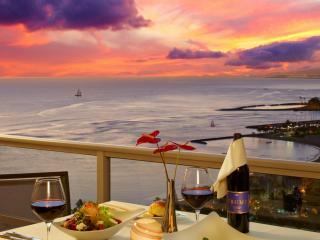 For your next Honolulu holiday why not treat yourself to a stay at Trump International Hotel Waikiki. 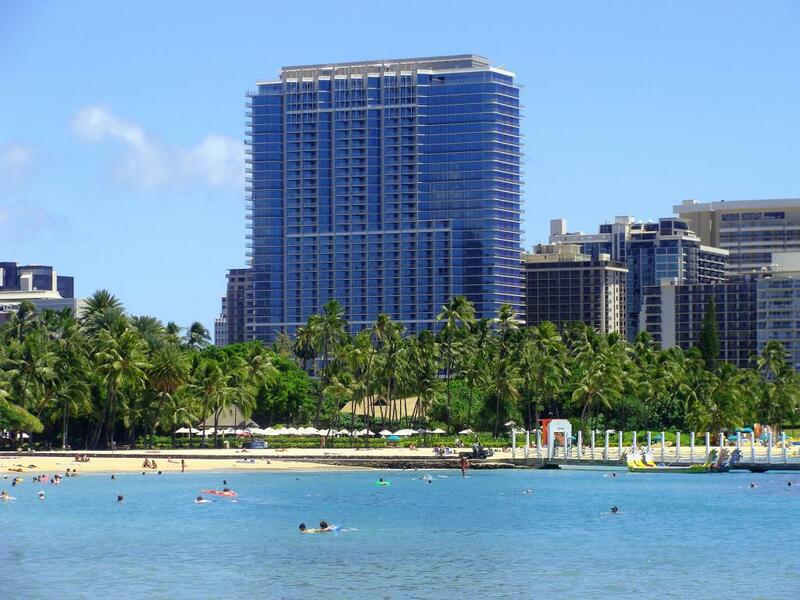 Trump International Hotel Waikiki offers a wide range of accommodation choices to suit the needs of business and leisure travellers to the amazing islands of Oahu. 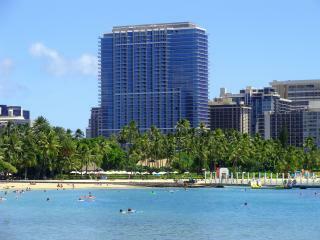 The guest rooms at Trump International Hotel Waikiki are perfect for smaller families, groups of friends. 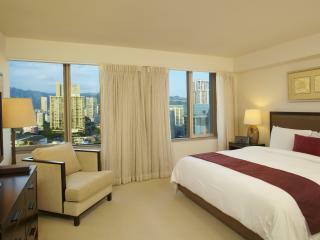 Superior Room City View: Bedding is 1 King Bed OR 2 Single Beds. Maximum room capacity is 2 Adults & Children. 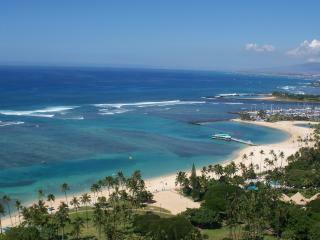 Superior Room Partial Ocean View: Bedding is 1 King Bed OR 2 Single Beds. Maximum room capacity is 2 Adults & Children. 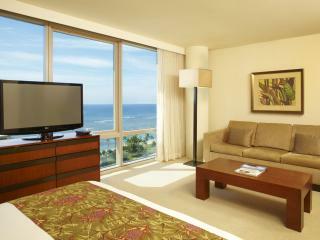 Superior Room Ocean View: Size is 37m². Bedding is 1 King Bed OR 2 Single Beds. Maximum room capacity is 2 Adults & Children. 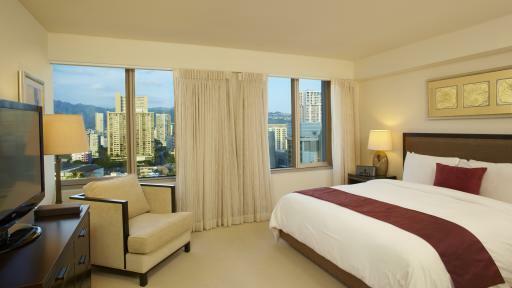 Deluxe Room City View: Bedding is 1 King Bed OR 2 Double Beds OR 2 Single Beds. Maximum room capacity is 4 Adults & Children. 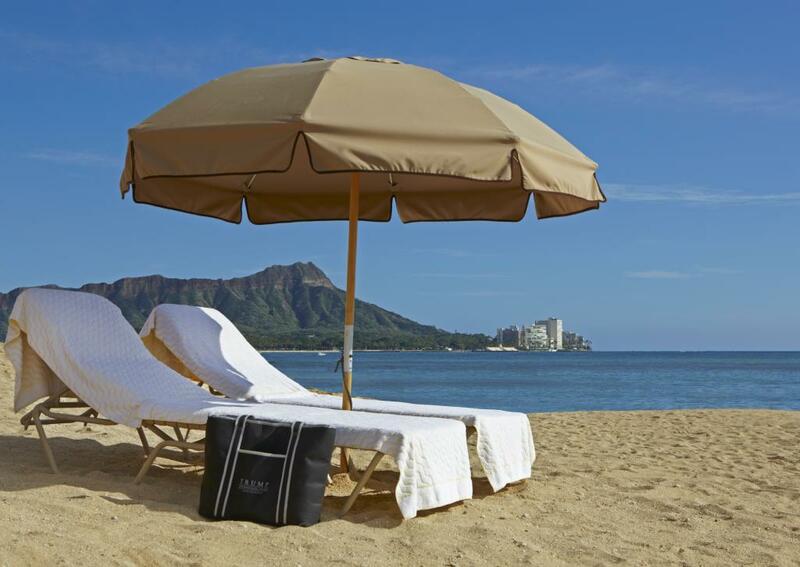 Deluxe Room Partial Ocean View: Bedding is 1 King Bed OR 2 Double Beds OR 2 Single Beds. Maximum room capacity is 4 Adults & Children. 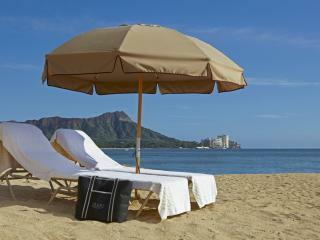 Deluxe Room Ocean View: Bedding is 1 King Bed OR 2 Double Beds OR 2 Single Beds. Maximum room capacity is 4 Adults & Children. 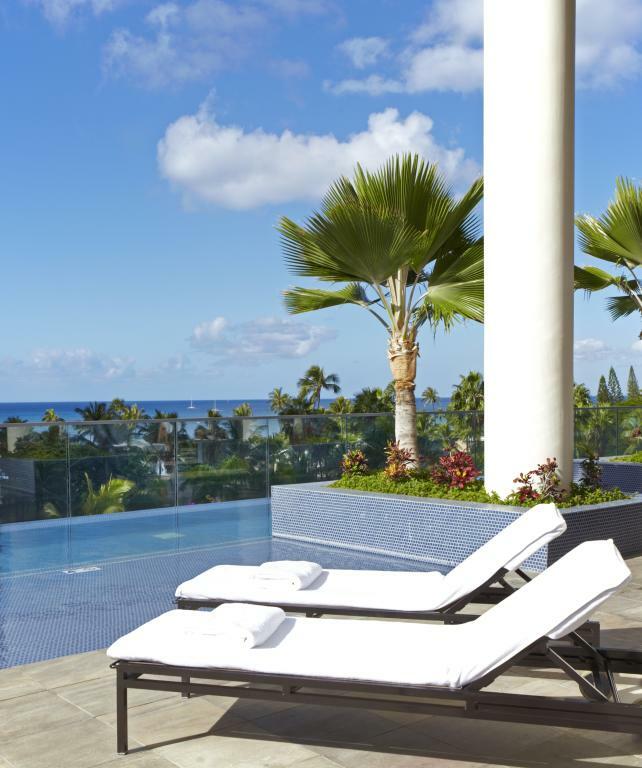 This Hawaii accommodation features luxuriously spacious suites and penthouses with amazing views of the surrounding Waikiki city, mountains and beach. Price on Application for all Suites. 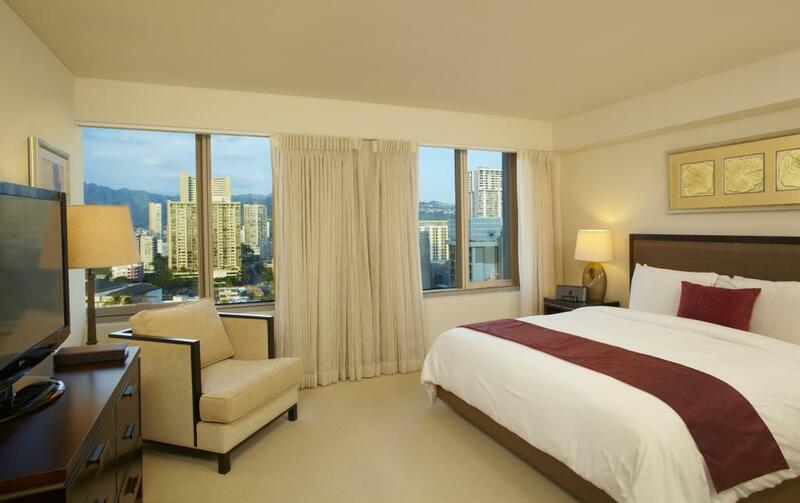 Deluxe 1 Bedroom City View Suite: Bedding is 1 King Bed OR 2 Single Beds. Maximum room capacity is 4 Adults & Children. Price on Application. 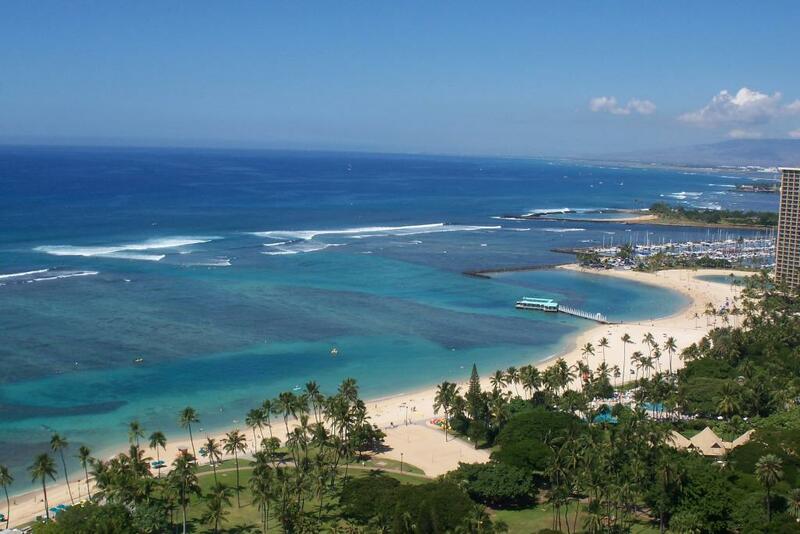 Deluxe 1 Bedroom Partial Ocean View Suite: Bedding is 1 King Bed OR 2 Single Beds. Maximum room capacity is 4 Adults & Children. Price on Application. 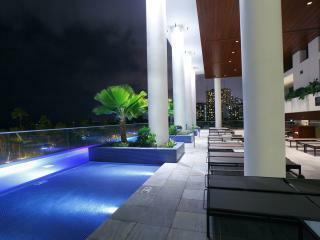 Premium 1 Bedroom Plus Den Ocean View Suite: Bedding is 1 King Bed + 2 Sofa Beds OR 2 Single Beds + 2 Sofa Beds. Maximum room capacity is 5 Adults & Children. Price on Application. 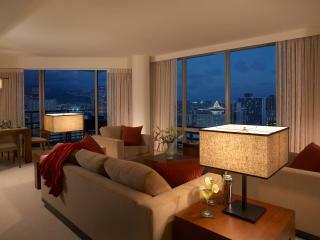 Trump Executive 1 Bedroom Plus Den Prime Ocean View Suite: These suites are more spacious and sophisticated. Bedding is 1 King Bed + 1 Sofa Bed. Maximum capacity is 3 Adults & Children. Price on Application. 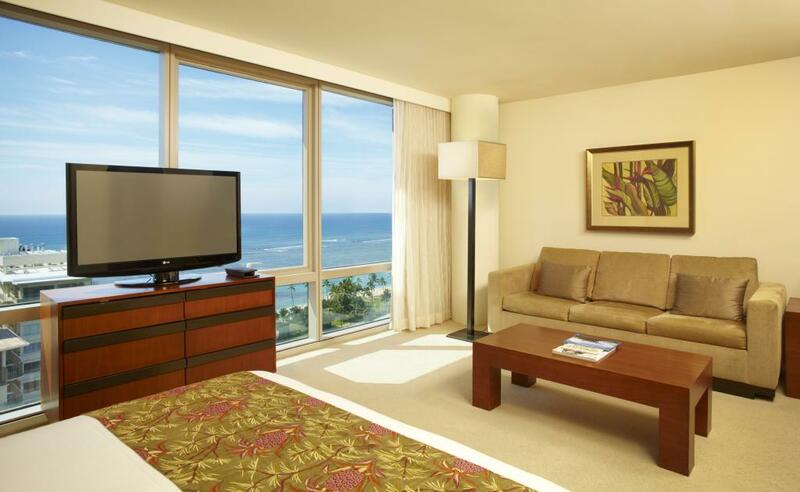 Deluxe 2 Bedroom Ocean View Suite: Bedding is 1 King Bed + 1 Queen Bed + 1 Sofa Bed OR 2 Single Beds + 1 Queen Bed + 1 Sofa Bed. Maximum room capacity is 5 Adults & Children. Price on Application. 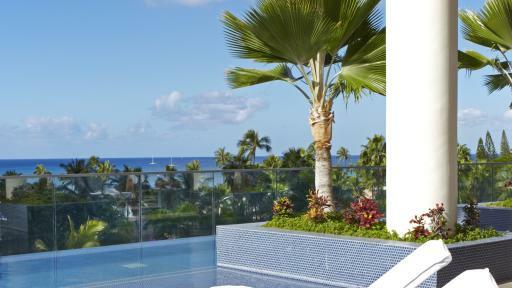 Deluxe 2 Bedroom Prime Ocean View Suite: Bedding is 1 King Bed + 1 Queen Bed + 1 Sofa Bed OR 2 Single Beds + 1 Queen Bed + 1 Sofa Bed. Maximum room capacity is 5 Adults & Children. Price on Application. 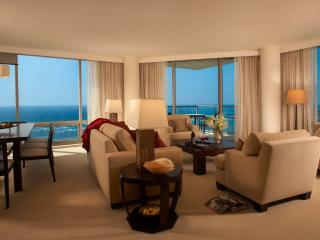 Trump Executive 2 Bedroom Prime Ocean View Suite: These suites are more spacious and sophisticated. Bedding is 1 King Bed + 1 Queen Bed. Maximum room capacity is 4 Adults & Children. Price on Application. 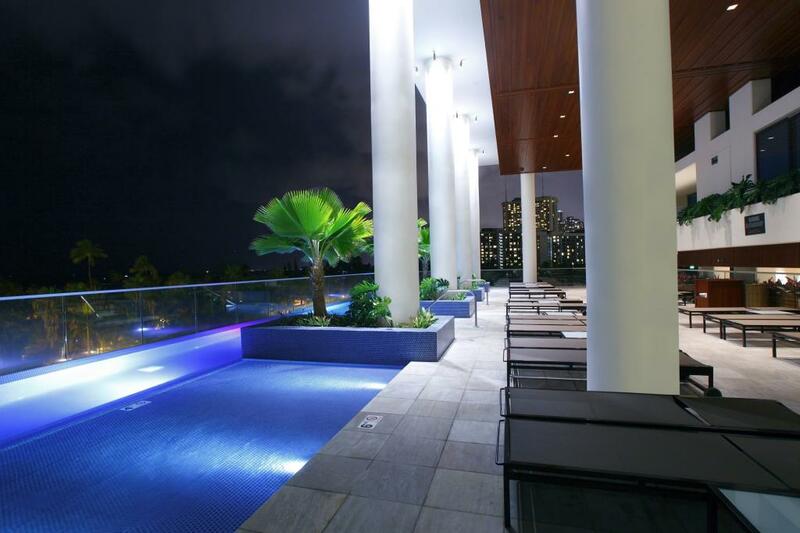 Premium 2 Bedroom Plus Den Prime Ocean View Suite: Bedding is 1 King Bed + 1 Queen Bed + 2 Sofa Beds OR 1 Queen Bed + 2 Single Beds + 2 Sofa Beds. Maximum room capacity is 8 Adults & Children. Price on Application. 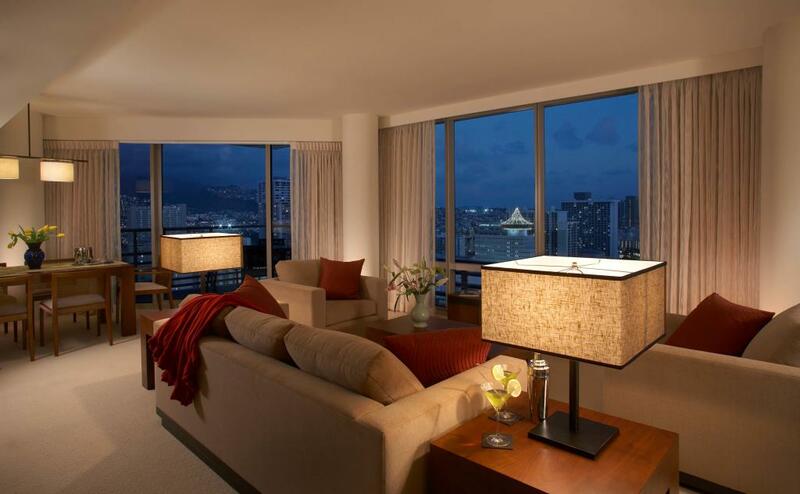 Trump Executive 2 Bedroom Plus Den Prime Ocean View Suite: These suites are more spacious and sophisticated. Bedding is 1 King Bed + 1 Queen Bed + 1 Sofa Bed OR 2 Single Beds + 1 Queen Bed + 1 Sofa Bed. Maximum room capacity is 5 Adults & Children. Price on Application. 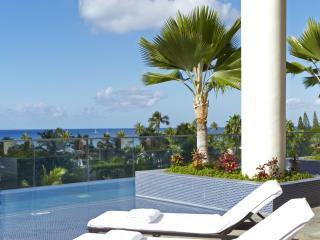 Premium 3 Bedroom Ocean Front Suite: Bedding is 1 King Bed + 2 Queen Beds + 1 Sofa Bed OR 2 Queen Beds + 2 Single Beds + 1 Sofa Bed. Maximum room capacity is 8 Adults & Children. Price on Application. 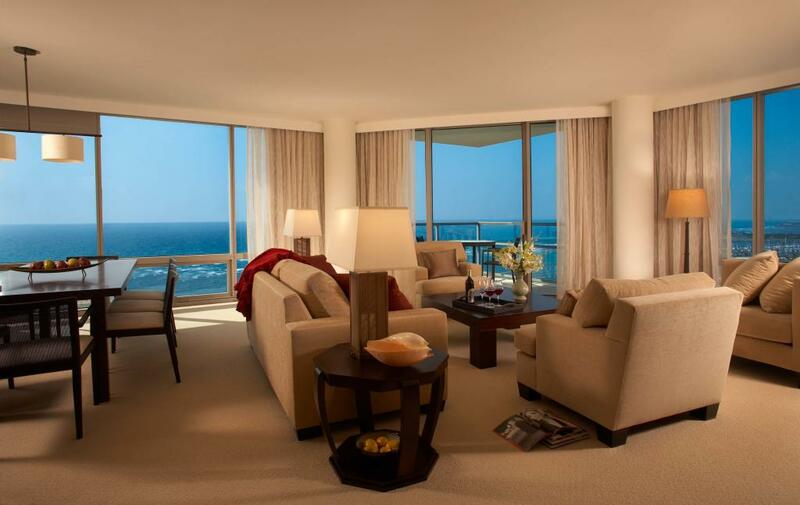 Trump Executive 3 Bedroom Ocean Front Suite: These suites are more spacious and sophisticated. Bedding is 1 King Bed + 2 Queen Beds. Maximum room capacity is 6 Adults & Children. Price on Application. 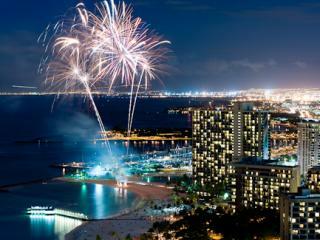 Waikiki Penthouse 2 Bedroom Suite: Bedding is 1 King Bed + 1 Queen Bed. Maximum room capacity is 4 Adults & Children. Price on Application. 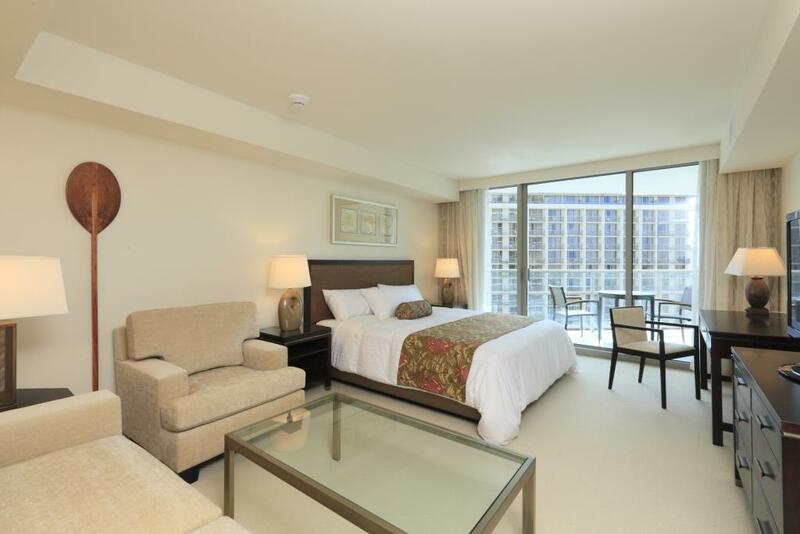 Ocean Penthouse Suite 2 Bedroom: Bedding is 2 Queen Beds. Maximum room capacity is 4 Adults & Children. Price on Application. 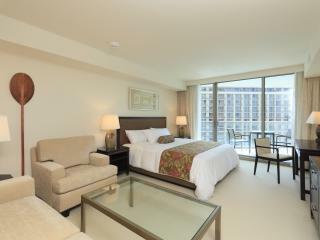 Deluxe 2 Bedroom City View Suite: Bedding is 1 King Bed + 1 Queen Bed + 1 Sofa Bed OR 2 Single Beds + 1 Queen Bed + 1 Sofa Bed. Maximum room capacity is 5 Adults & Children. Price on Application and is available for travel from 01 July 2019. 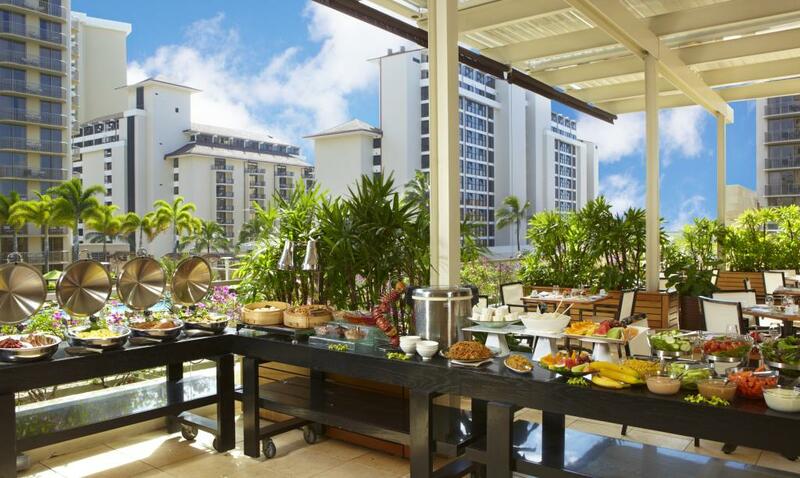 There are a selection of onsite dining options at Trump International Hotel Waikiki alternatively, most rooms have kitchenette or full kitchen facilities where guests can create their own amazing meal using local produce. 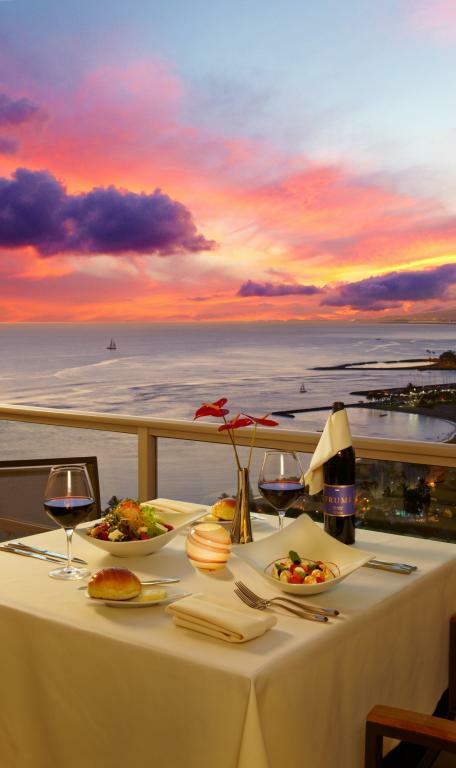 Wai'olu Ocean Cuisine: Offering a lunch and dinner menu with a range of international cuisines including a selection of tapas for those who are just after a light meal. Enjoy a meal with friends or family in the casual lounge area or have a more intimate meal with two. This is a great place for a relaxed and casual dining experience. In-Yo Cafe: This breakfast restaurant serves up each morning an array of meals, have your omelette cooked to order or select from a wide range of seasonal fruits, drinks, breads and more. This open air restaurant is a vibrant place where guests can enjoy the stunning surrounds. BLT Steak: A mix of American classics with a French twist, BLT Steak offers a selection of fresh seafood, prime beef and all American deserts. Enjoy a signature meal for dinner at BLT Steak. 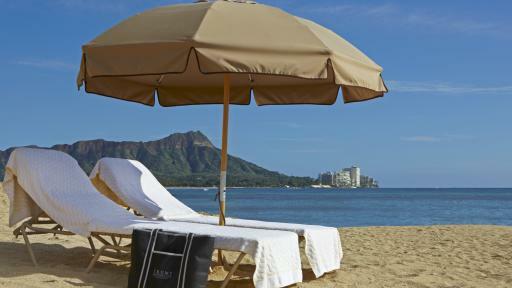 The Spa at Trump: Ideally located this world class day spa will offer you an experience to remember. Each guest will take a different journey with a wide range of spa services available with a personalised touch. 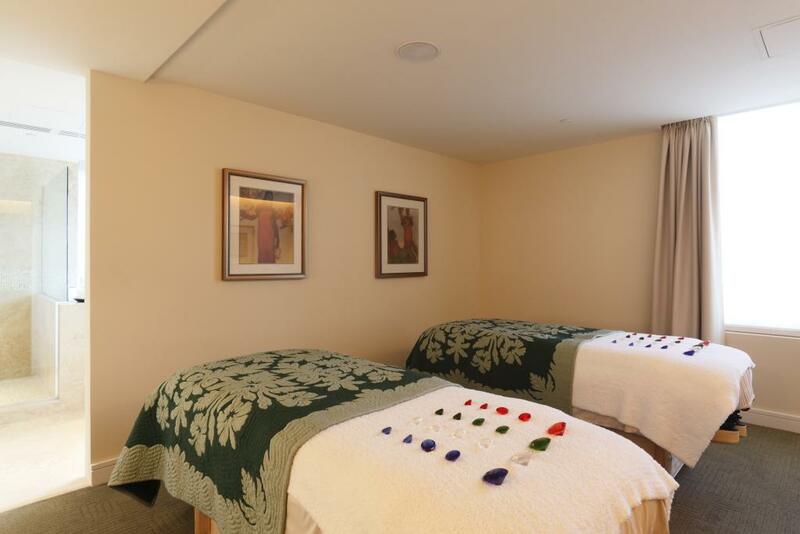 The Spa at Trump wish to purify, balance, revitalise, calm and heal the body through their treatments. 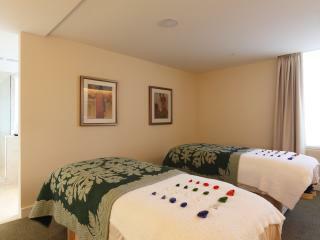 Select from a range of massages, body wraps, facials, manicures, pedicures and calming or healing baths. Children: 0 - 17 years stay free of charge when using existing bedding. Cribs are available free of charge.